I love wearing these diffuser necklaces so I'm making them to share! 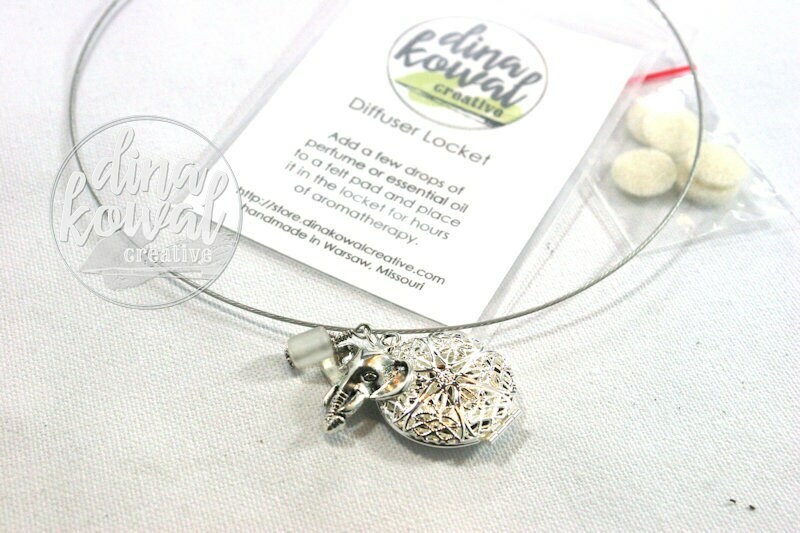 The locket is silver plated, with a charm and glass bead decoration, and it comes with 5 wool discs that will hold 2-3 drops of essential oil for a day of wear. 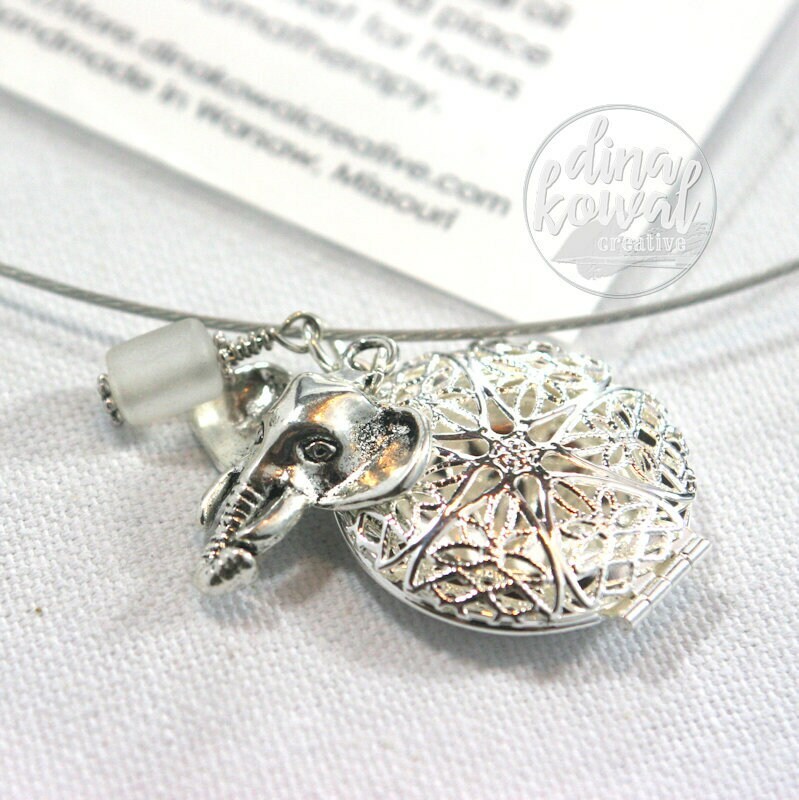 Memory wire necklace. perfect for gift-giving. Please message me to discuss custom orders.